You know what summer looks like? 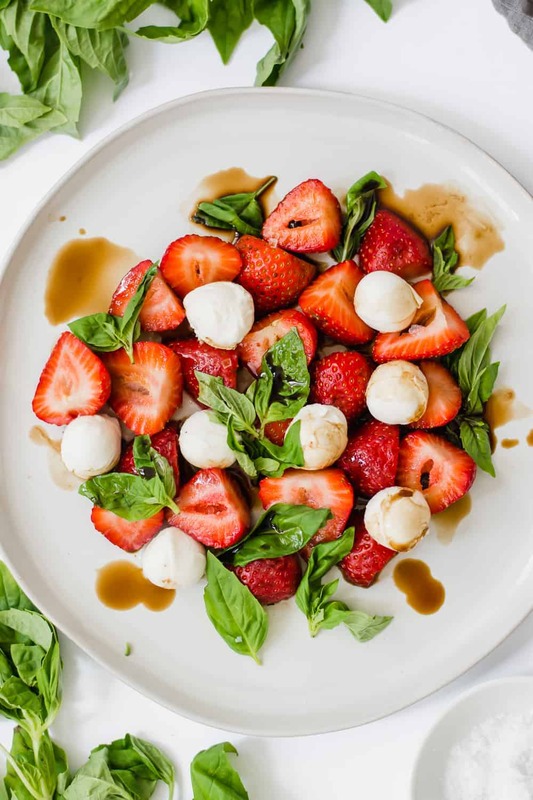 A lovely, delicious plate of refreshing strawberry caprese salad. It’s quick, simple, and a beautiful dish offering multiple health benefits. If you know me, you know that I’m an herbal and wellness junkie, and look for ways to implement them into the food I feed myself and my family. I mean, WHY NOT? It’s the easiest way to keep everyone feeling rejuvenated, balanced and operating at their best level. 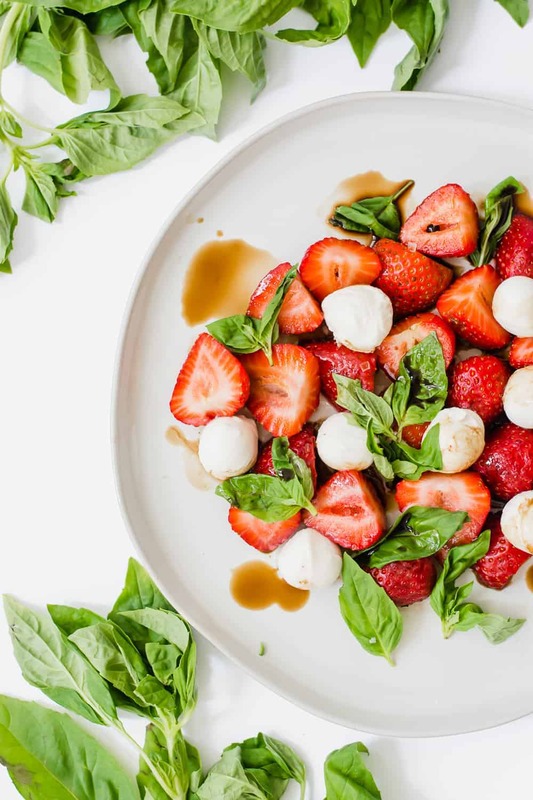 Antioxidant support from strawberries and basil. 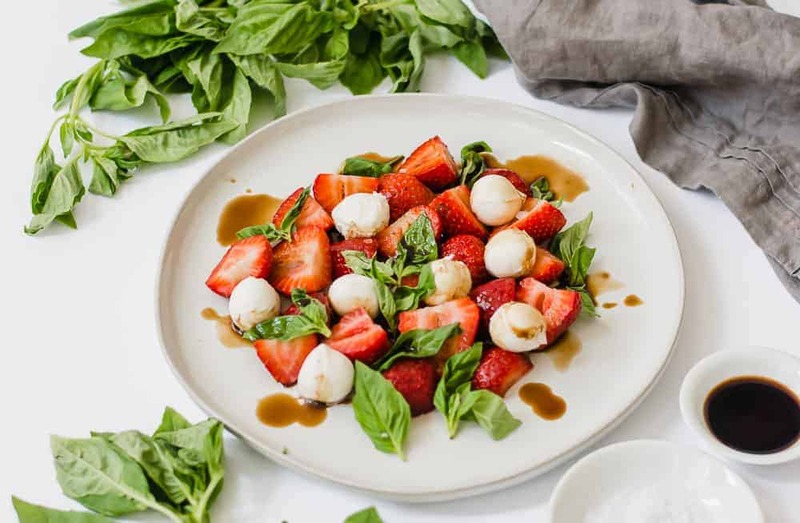 There are multiple types of basil from which you can choose to add to your caprese salad, each offering subtly different flavors and actions. One of my favorites is holy basil, for its balancing properties and helping to relieve stress and anxiety. Balsamic vinegar can aid in digestion and promote optimal gut flora since it contains acetic acid, which is a strain of probiotic. Olive oil is a great anti-inflammatory, which can help with a large variety of health issues where inflammation is a result. Mozzarella cheese is full of calcium and protein, keeping you full and building strong muscle. 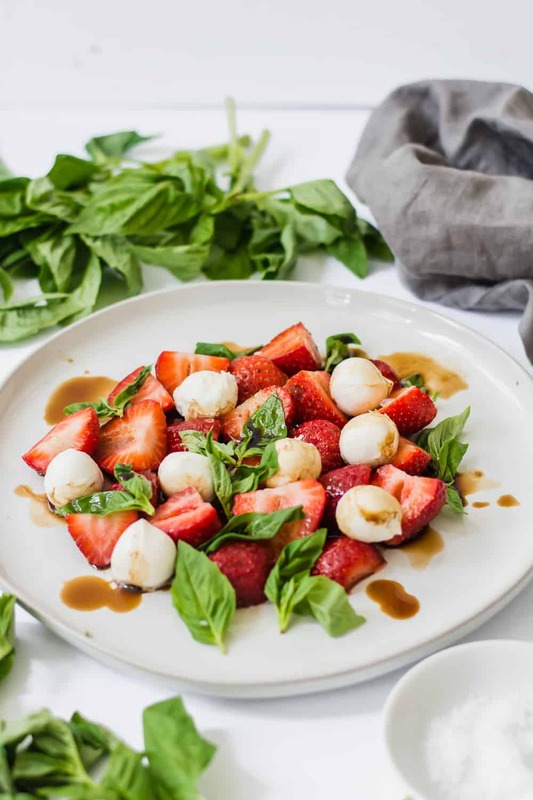 There are few greater simple pleasures in life than that of sinking your teeth into the combo of of flavors that caprese offers, especially when you radically shift it with strawberries. Serve it on a platter all combined, or individually arrange them on wooden skews. Either way, you will get an equally beautiful and yummy appetizer. 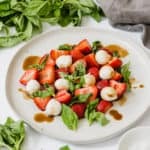 Make this refreshing strawberry caprese salad for an appetizer or light lunch. It's full of antioxidants and an easy and simple recipe for the family. 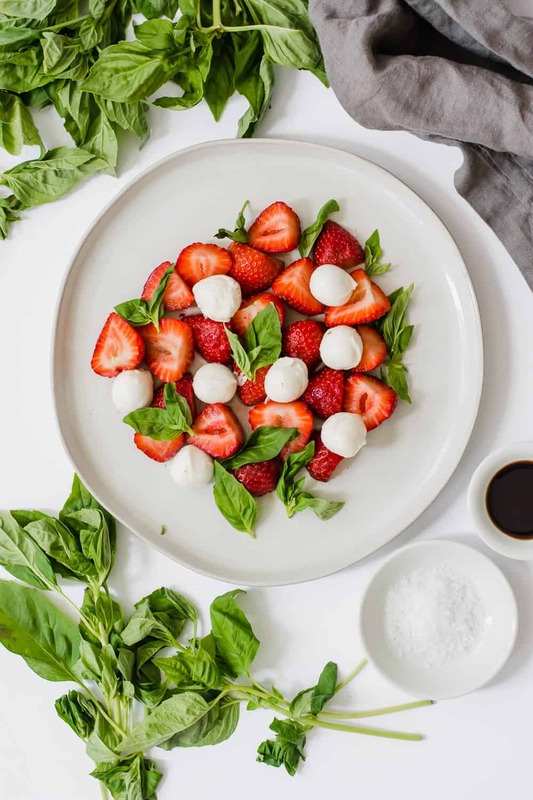 Add strawberries, mozzarella, and basil to a platter or bowl. Drizzle with balsamic vinegar, olive oil, and sprinkle with salt and pepper to taste. Serve immediately while fresh, and enjoy!